Herron spans two buildings on the IUPUI campus—a total 200,000 square feet of studios, galleries, and other inspirational spaces. Eskenazi Hall houses the majority of Herron’s art and design studios, a 240-seat auditorium, five galleries, an internationally recognized art library, a 3-D printing lab, a school-wide shop, outdoor sculpture gardens, student exhibition spaces, and a Grand Hall for public receptions and events. 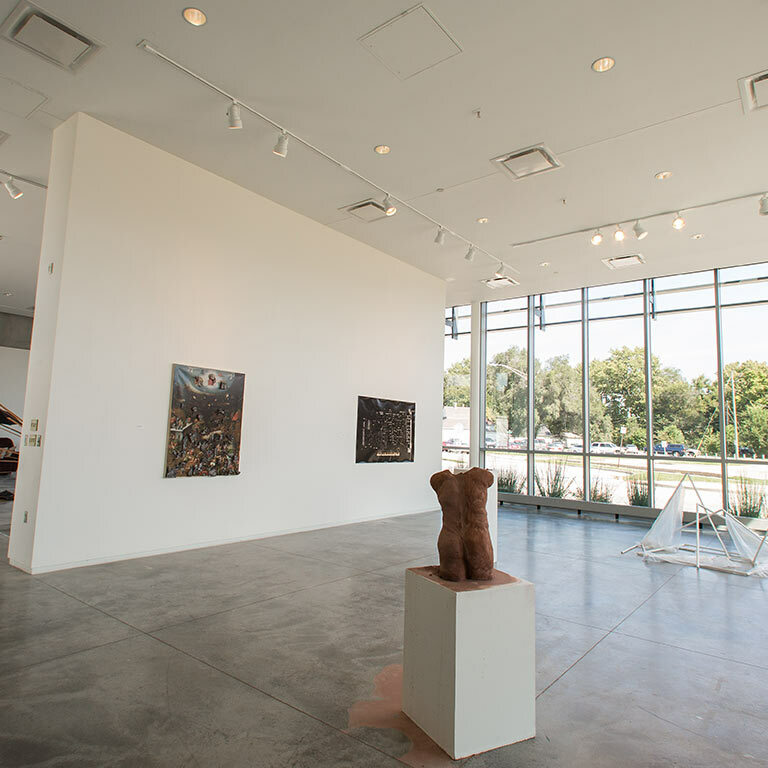 Eskenazi Fine Arts Center is home to Herron’s sculpture and ceramics programs, graduate studios, classrooms, critique spaces, and a large, multipurpose fabrication space. 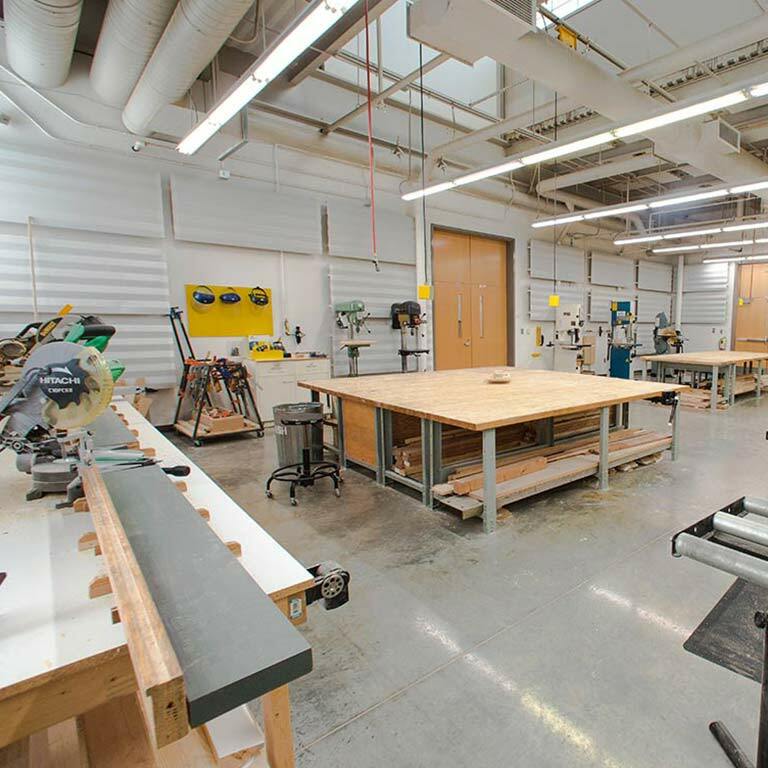 Herron has more than 70 studio spaces dedicated to art, design, and art education. Spacious, inspiring, and well-equipped, they are among the best in the country. 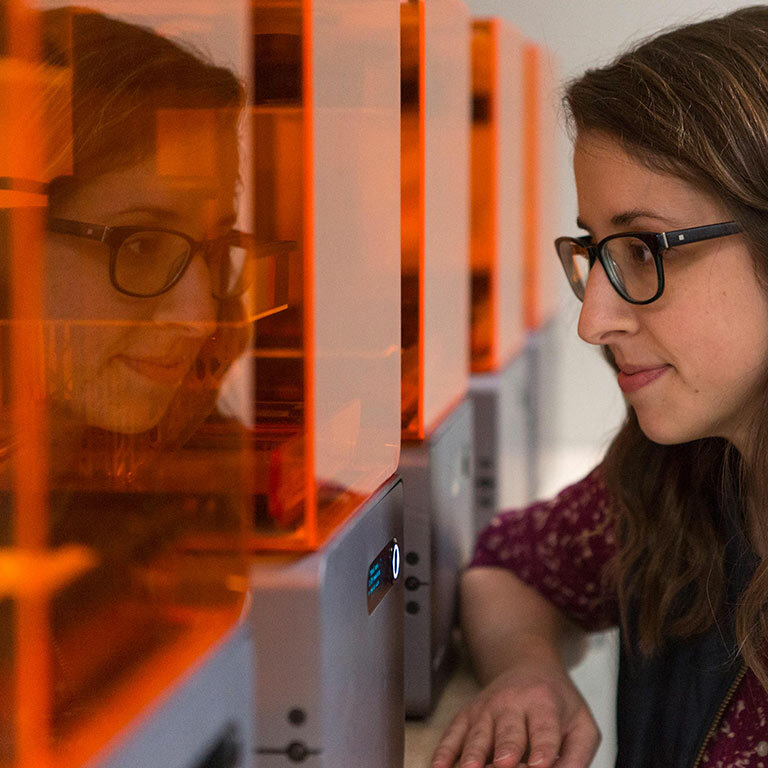 The Think It Make It Lab gives students and faculty access to 3D printers, laser engravers, CNC machines, and other advanced technology to create and build forms that would otherwise be impossible to make by hand. Herron devotes more than 10,000 square feet to exhibition space. The galleries also engage the broader community to learn about visual art and design. Herron exhibitions and artists talks are always free and open to the public. The Herron Art Library in Eskenazi Hall is internationally recognized for its fine press and book arts collection. 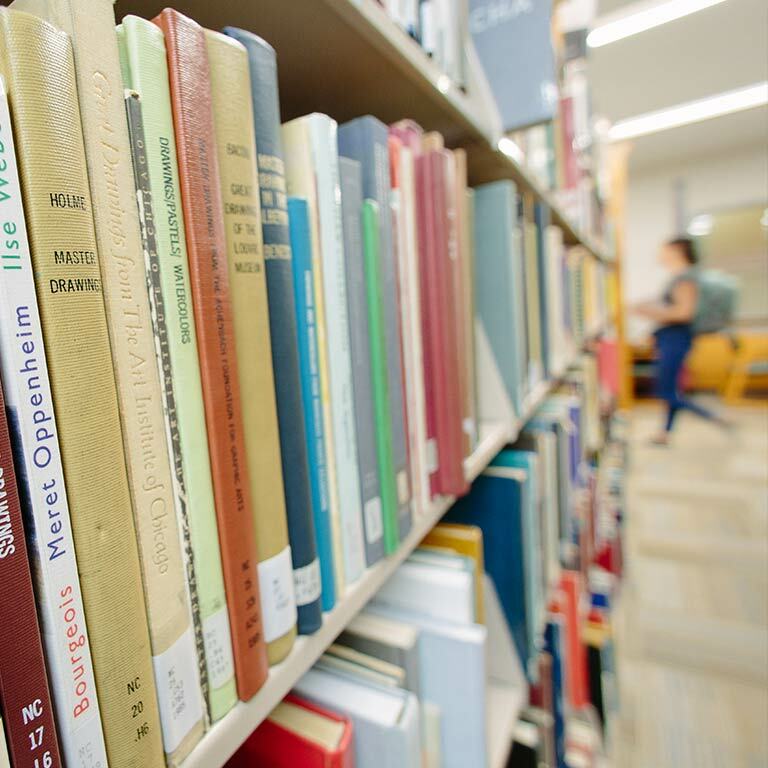 The library houses approximately 30,000 books, 150 journal subscriptions, more than 160,000 slides, and 1,500 DVDs. 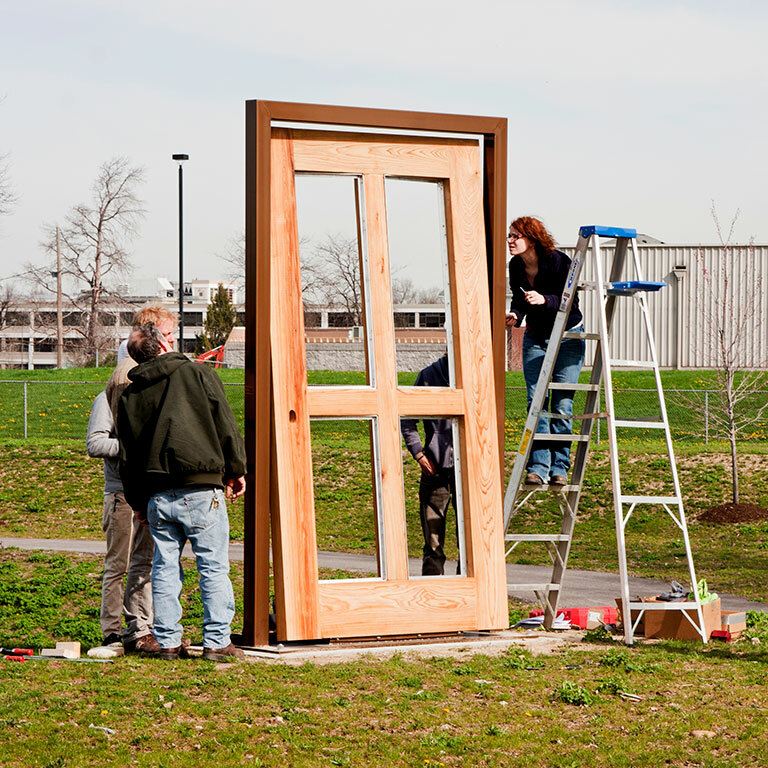 The Basile Center for Art, Design and Public Life is a transformational learning initiative that provides Herron students opportunities to collaborate on projects with businesses, nonprofit organizations, healthcare facilities, communities, and government agencies.